I was told organizers were expecting to pre-sell 500 tickets. They undershot that by half! The first Annual Downtown Cajun Cook Off was a success before it started. Around 980 tickets were sold prior to the event with numbers of gate purchases that eventually took them to more than 4,000. No one dreamed it would be this well-attended, and the only problem to speak of was that everyone was running out of food. You couldn’t have asked for a more beautiful day as this family event provided our downtown scene exactly what it needed right on beautiful Cathedral Square. Despite a couple of minor cooking accidents everything went off without a hitch. In my opinion the awards fell into the hands of the right people. Best-decorated booth went to T.P. Crockmiers. Fox 10 managed to bring home the people’s choice award. Brickyard came in a solid third place. It’s tough to beat second place winners Vlad and the gang from Mediterranean Sandwich Company who served up bacon-wrapped pork loin and fantastic polenta. In the end it was the Garage who deserved the grand prize. Mark and Bennie led the team with an unbelievable jambalaya (how do you execute so large a recipe?) with a crawfish peeping out of the cup. Presentation, flavor and doneness all had high marks. Congratulations, boys. Another of my favorites was Doug Previto of Veet’s alligator sauce piquant. This could have easily slipped into the finals. I should say most teams made something very dine-worthy, which is something you can’t say about a lot of these cook offs. Sportsmanship was at an all-time high for such an event. Weather Guru Jason Smith was an excellent emcee. I certainly look forward to the second annual Downtown Cajun Cook Off, and as the name suggests I hope it stays there. I knew I would be in for a treat as I pulled into the corner of Cottage Hill and Schillinger this past Sunday for the second week of brunch at the Hungry Owl. I had no idea it would be this good, not that I had doubts. I had eggs avocado which were baked avocado with poached eggs, Conecuh bacon and crawfish Pontchartrain sauce on a cat head biscuit. I almost wept. Others at my table included their Owl’s Benedict complete with a crawfish cake, fried green tomato and a kind of Cajun Hollandaise over the eggs. It was a half-a-foot tall. Hush puppies with Gouda and candied jalapeno dip were a great side and oysters scampi is begging for my return. I am also unsure of how country fried beef can taste so good. A lot came home with us. It was too much to eat at one sitting and the weather at the Growler Bar was fantastic. I hope this brunch with live music stays around a while. Our beloved Wintzell’s has come up with a bracket system worth paying attention to. 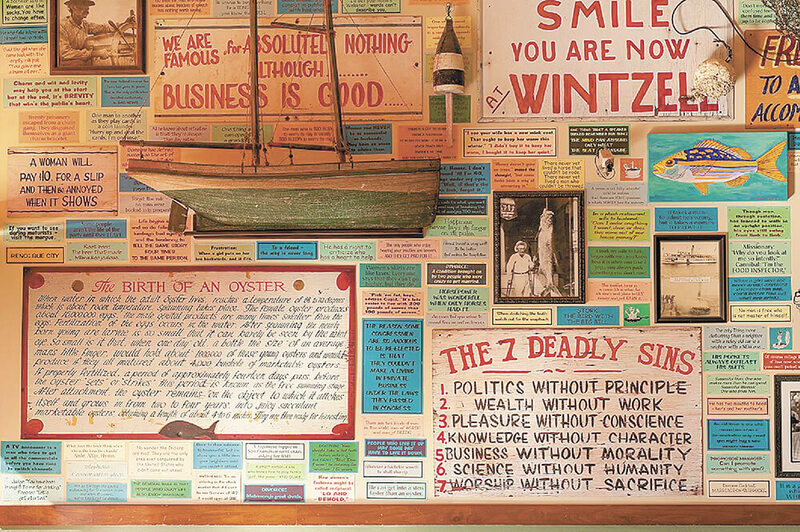 Their new “Forever Clever” tournament gives fans a chance to vote on their favorite Wintzell signs that adorn the walls of the 77-year-old restaurant. 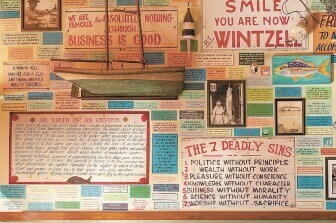 Vote for your favorite Wintzell’s sign through April 2. Every Monday and Thursday a new series begins with the final four slated for March 30. The championship will be held April 2. Participants will vote online for the witticism of their choice and be entered to win a $100 gift card. The winning sign and the winning voter will be announced April 6. 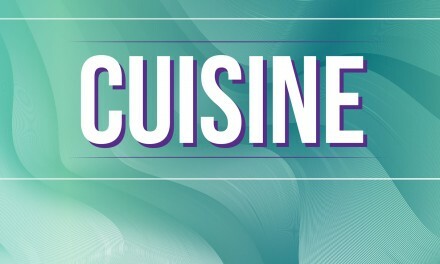 Vote now at either their Facebook page or at www.wintzellsoysterhouse.com. It’s a bi-annual tradition that delights many south Alabamians. The Elberta German Sausage Festival falls on Saturday, March 28, always the last Saturday of March. This is your chance to experience slightly cooler temperatures and hot-off-the-grill sausage. Live entertainment and cold beer make this festival a tough one to pass up, especially when you hear admission is free! This fundraiser benefits the Volunteer Fire Department, which will have members on hand serving nearly 7,000 pounds of sausage to almost 30,000 visitors. Get there early for the sausage. It seems they sell out every year. You’ll stay for the arts and crafts as well as other forms of entertainment. Located in Town Park just off of US HWY 98 at Chicago St., if you’ve never been make this one your first. The next one is the last Saturday of October. Every year I scream that St. Mary’s Knights of Columbus Crawfish and Bluegrass Extravaganza is my favorite event in all of Mobile. I’m saying it again. The date has been announced as Saturday, April 18, so adjust your schedules accordingly. Once again expect thousands of pounds of expertly cooked crawfish and possibly the strongest live music lineup to date. This year boasts Rollin’ in the Hay, Fat Man Squeeze, Delta Reign and the Deluxe Trio! These musicians knows one another well. And they all know how to eat massive amounts of mudbugs, so get your tickets early and get in line as soon as they open the gate. With names like Steve “Head Sucker” Varnes and Pat “Tail Pincher” Murphy, we better hope they cook an extra couple pots this year. It’s going to get messy. On sale now at the school office, Mobile Popcorn and Zoghby’s Uniforms, advance prices are $25. Start saving non-perishable food items for the Bay Area Food Bank can drive. At this event there are plenty of chances to recycle!